Peru has it all, in one country: the tropical Amazon rainforest, the snow-capped high peaks of the Andes, magnificent beaches, and vast deserts. All this is yours to experience by motorbike. Our tour starts off in the colonial city of Arequipa which we soon leave behind to ride our bikes up into the high Andes mountains. 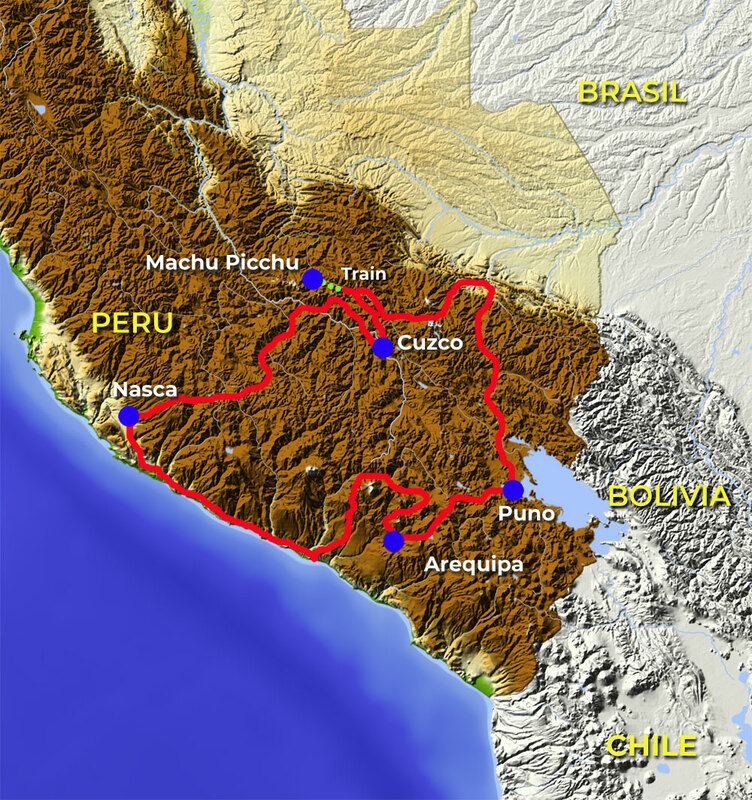 From there we follow the Panamericana northwards along the coast. We take a scenic flight over the mysterious Nazca lines and sleep in a genuine oasis in the desert. 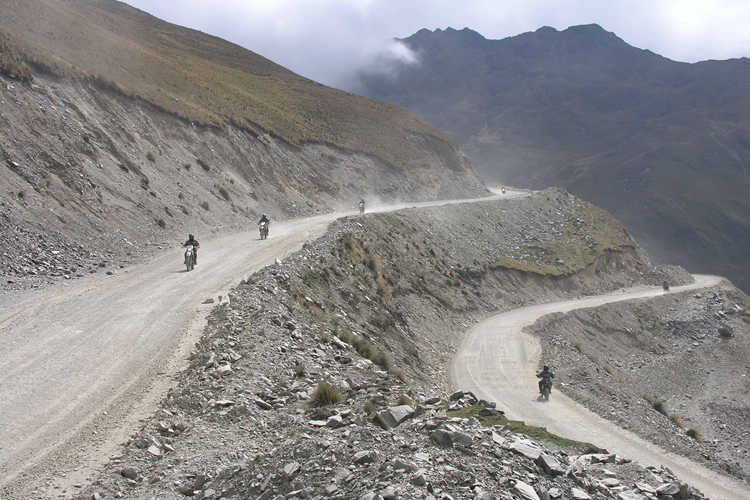 Travelling on magnificent road with no less than a thousand bends and turns we ascend for over 4800 meters till we reach the snow-topped mountains of the Andes. From the beautiful city of Cusco we visit the hidden city of the Incas, Machu Picchu. To conclude the tour we take a boat trip over the highest lake in the world, Lake Titicaca.